Pete Buttigieg has seemingly come out of nowhere to become one of the left's most promising Democratic 2020 contenders - but he may have a problem following him around from his years as mayor of South Bend, Indiana, according to an investigation by The Hill. 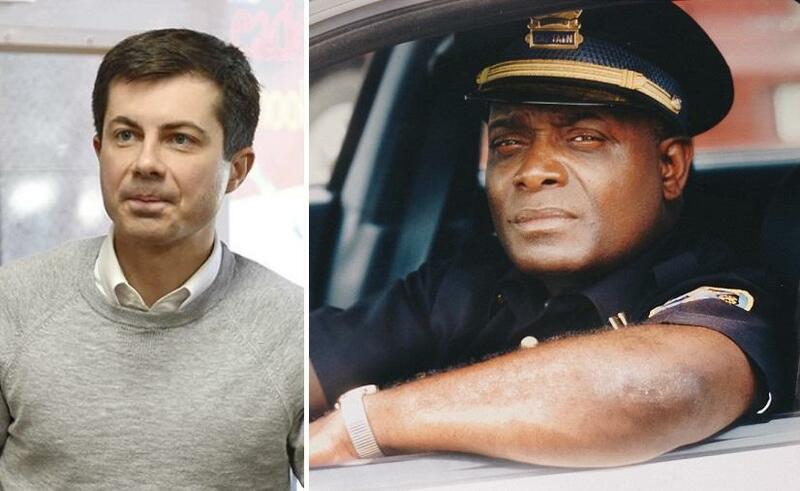 In short: Shortly after Buttigieg became mayor of South Bend in 2012, the city's first black police chief, Darryl Boykins, allowed a detective's phone to be secretly recorded. The director of the dispatch center, Karen DePaepe, listened to the recordings and allegedly discovered racist conversations, which she brought to Boykins. After the detective was confronted with the tapes, he got a lawyer and sued over being illegally recorded. The incident prompted Buttigieg to ask Boykins to resign, which the chief agreed to initially - however after consulting with attorneys, Boykins said that he only stepped down under "the false pretense that the Mayor was being directed into this course of action by the U.S. Attorney’s office." Buttigieg backpedaled - though Boykins was demoted to captain. The Mayor also fired DePaepe, believing she had intentionally eavesdropped on the officers to obtain dirt on them. DePaepe says that's BS, and that she "inadvertently stumbled upon conversations" between officers. The firing and demotion resulted in a flurry of lawsuits. Boykins sued the city for racial discrimination - arguing that the taping had begun under his white predecessors. Boykins sued the city for racial discrimination, arguing that the taping policy existed under previous police chiefs, who were white. DePaepe sued for wrongful termination - claiming that the recordings contained "racially derogatory statements relating to other ranking officers," and a plot to oust Boykins. A third lawsuit was filed by four police officers and one officer's wife who said they had been illegally recorded and defamed. The city settled - with Boykins receiving $75,000, DePaepe $235,000 and the group of officers who got $500,000. Buttigieg - a 37-year-old Harvard graduate, Rhodes scholar and Afghanistan veteran who announced his presidential campaign on Sunday, justified the settlements by saying that going to court would have been more expensive for the city's taxpayers. "Even though I’m confident our administration did the right thing, there is still a big cost, financially and in terms of energy and attention, to defending and winning these claims in court," said Buttigieg. "Each passing day these cases were lingering was bad for the city, and a chance to reach an agreement and resolve them was in the best interest of the city." According to his critics, however, Buttigieg is going to great lengths to conceal the content of the tapes - which an Indiana judge is about to rule on whether they should be released or not. Black leaders in South Bend say that if evidence of racism exists, it calls into question scores of convictions that were a result of investigations conducted by white police officers. In 2014, members of Rev. Jesse Jackson's Rainbow PUSH coalition met with Buttigieg to urge him to ask for a federal investigation into allegations of police misconduct. The US Attorney eventually closed the case, saying there was no evidence that a crime has been committed by recording the officers. The officers involved in the tapings are suing former City Council member Henry Davis Jr., a Democrat, who originally asked for a federal investigation in 2012 in a letter to Tom Perez - then the DOJ's assistant attorney general for the Civil Rights Division. The police officers are suing Davis for defamation. Dan Pfeiffer, an attorney for the police officers, told The Hill there is nothing criminal on the recordings. Pfeiffer accused Boykins of using the tapes as blackmail to threaten his political rivals, some of whom were angling for the police chief job in the new administration. The mayor challenged the subpoena in federal court - leaving the decision over whether the recordings should be made public in the hands of a judge. Buttigieg's defenders say he has made strides in repairing the racial divide, according to the report. "This happened very early on in his administration and the mayor has since spent a lot of quantity time with communities of color to build trust," said one unnamed ally. "It was really hard, especially happening so early on in his time in office. But he’s been able to build deeper relationships because of it." Others think Buttigieg mishandled the situation - particularly with Boykins, who is well-regarded in South Bend. "I personally felt it could have been handled differently with Chief Boykins," said Democratic city councilwoman Karen White. "There was a perception within the community that Boykins … was painted to be someone that was not in line with his character."